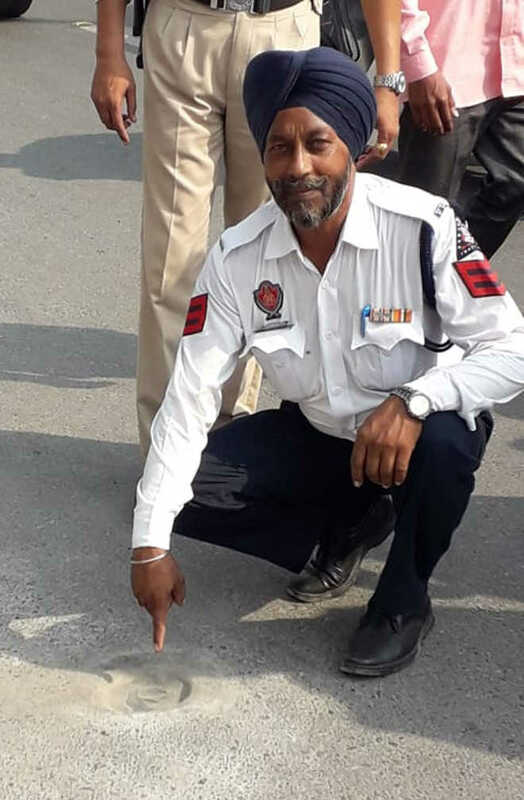 In a first of its kind initiative in the country, parking sensors have been installed at Mall Road and Lawrence Road Chowk by officials of Amritsar Smart City Limited, under the Smart City project. If the pilot project succeeds, such sensors will be installed in other parts of the city as well. Gaurav Toora, Additional Deputy Commissioner of Police (Headquarters), said the parking sensors would help curb illegal parking in no parking zones. Once a vehicle is parked at the spot, a message will be flashed on the cell phone of the traffic cop concerned, making it easy for him to take necessary action. The holy city faces the problem of illegal parking due to manifold increase in the number of four-wheelers. In absence of parking space, people sometimes park their vehicles in no parking zones and on or alongside roads. It results in traffic congestion, which has been haunting the residents of the city for years. Toora said traffic sensors could help in dealing with the problem of illegal parking. “We are looking forward to it. The sensors have a battery life of around six years,” he added.